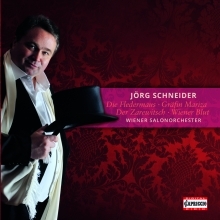 The Austrian tenor Jörg Schneider has enjoyed a career that has flourished in Europe and especially in Italy, where he sang in almost every important operahouse. He started his career in 1995 as member of the Staatstheater Wiesbaden. From 1997 on till 2000 he was member of the Deutsche Oper am Rhein Düsseldorf. As a freelancer he sang Belmonte at the Deutsche Oper Berlin, Tamino at the Opernhaus Zürich and at the Teatro Communale Firenze. 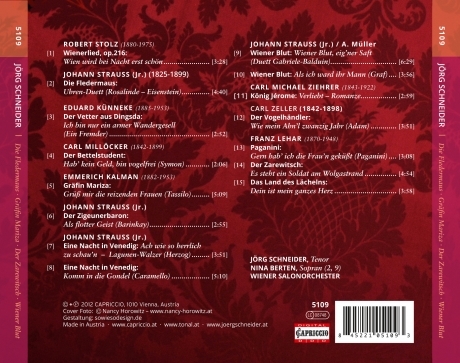 He sang Belmonte in “Entführung” under the baton of Zubin Mehta in Tel Aviv, “Kantate auf den Tod Haydns” from Luigi Cherubini under the baton of Riccardo Muti at the Musikverein in Vienna, and Jacquino in “Fidelio” under the baton of Claudio Abbado in Ferrara, Reggio Emilia, Madrid/ Teatro Real and Baden-Baden etc. On January 1st in 2008 Mr Schneider made his debut as Alfred in “Die Fledermaus” at the Vienna State Opera (he returned meanwhile as Tamino in “Zauberflöte”, Narraboth in “Salome” and as Flamand in “Capriccio” opposite Renèe Fleming) and in January 2009 he collaborated for the first time with Maestro Christian Thielemann in Baden-Baden, Munich and Paris.